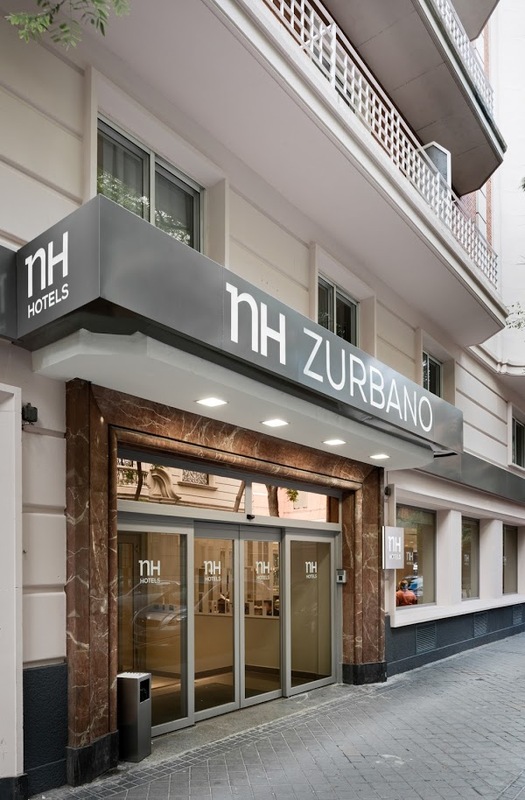 NH Madrid Zurbano is set in Madrid’s Chamberi district, 100 yards from Paseo de la Castellana Boulevard. It offers free Wi-Fi and has good access to public transport and the IFEMA Trade Centre. Split into 2 different buildings, rooms at the hotel are stylish and modern. They have air conditioning, flat-screen satellite TV and a minibar. The en suite bathroom offers free toiletries and a hairdryer. The hotel restaurant serves international food, including a healthy breakfast. There is also a relaxing bar. The area around NH Madrid Zurbano has various bars, restaurants and shops. The Sorolla Museum is also nearby. The hotel is just 100 yards from Gregorio Marañón Metro Station. This gives good access to the historic city centre and the rest of Madrid. It is a 10-minute walk to Nuevos Ministerios, where Metro links take you to the airport in 15 minutes.